SocialCaptain Review - Get Your Instagram Followers Fast! You would be hard-pressed to think of another social network with as much buzz as Instagram currently. Facebook has become old news and mired in problems, while platforms like Twitter and Snapchat seem in danger of fizzling out. In contrast, Instagram is more popular than it has ever been, with a thriving global community of over a billion users. Consequently, there have also been a massive surge of services geared exclusively around catering to Instagram users’ needs. These have ranged everywhere from photo editing programs to scheduling tools. 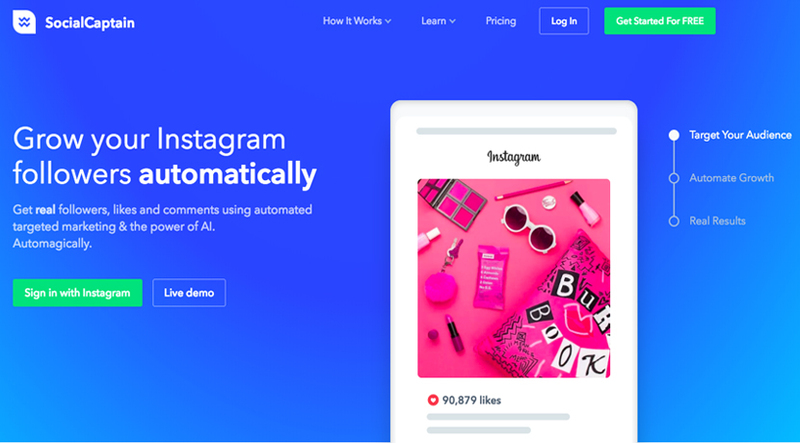 Recently one of these services caught my eye: SocialCaptain, an automation tool that uses artificial intelligence to operate your Instagram account for you. I decided to try it out for myself. For this review I’ll be giving my thoughts on it, as well as a broad overview of its features. SocialCaptain builds upon the successes of its predecessor and delivers an automation service that’s among the best you can find anywhere. It’s trusted by leaders in many different fields, and serves thousands of clients each day. That’s because it’s nearly unrivaled in how streamlined and effortless it makes growing your Instagram following. The main appeal of automation is that it’s, as the name implies, totally automated. There’s no real maintenance necessary on your part. There also isn’t any downtime. It’s constantly running in the background for as long as you want it to. Having run my own Instagram accounts, I can tell you that it can be tiring, time-consuming, and repetitive. Gaining new followers involves a tedious amount of commenting on posts, giving out likes indiscriminately, and following other people. For the amount of hours that it requires, there’s no upside to doing it all manually. Automation is absolutely the way to go. Artificial intelligence is a word that tends to provoke two distinct reactions. Some people seem intimidated by it and the complexity of what it entails. Meanwhile, others tend to get excited by the possibilities it evokes. I know I’m in the latter group; I’m all for taking advantage of the latest advances. The AI that SocialCaptain employs is based on innovative machine learning algorithms. Through trial and error, the AI learns from the data that it collects. Over time it becomes more refined and potent in performing its duties. That means it will continually produce better results at a upward rate. I know I’m not the only one out there that can’t stand a poorly made dashboard. I don’t want to spend an unnecessarily long amount of time struggling with a baffling interface, running in circles while searching for the right settings. There’s no good reason for that nonsense. Everything should be as plainly laid out and understandable as possible. Much to my relief, SocialCaptain keeps it simple. Their dashboard is visually pleasing and easy to navigate. Thankfully they seem to understand that practicality is the key to good design. If you are running a business and use Instagram for marketing and outreach purposes, then most likely there’s certain demographics that you are looking to engage with. If that’s the case, then SocialCaptain’s targeting filters are exactly what you need to hone in on your audience. It takes the work out of searching for the right accounts. There are several methods of targeting offered. A few of these include usernames, hashtags, and locations. There’s also further settings that focus on niche areas, as well as competitor tracking. No automation service is complete without a strong set of analytics features. After all, you need to know if it’s actually delivering the results that you want. It’s also a vital part of planning your Instagram content, as it assists you in figuring out what you’re doing right or wrong. SocialCaptain not only has this covered, but it conducts its tracking and reporting in real-time. At any point you can observe the current, up-to-the-minute growth of your account. There’s also the option to export the reports if you need to do so. Trust me when I say that I’ve dealt with both extremes when it comes to customer support. There’s a lot of services out there that are outright terrible at it. With some of the worst offenders, I’ve even waited weeks just to get a vague and unhelpful email answer to an important question. So I know quite personally that bad support can be detrimental to a customer’s experience. How does this service stack up then, when compared to the rest? Luckily I can attest to the fact that SocialCaptain doesn’t falter in this area. Their customer support ranks among the best that I’ve encountered. It usually doesn’t take long to get a response, and their support team is great at swiftly resolving any pressing issues. They’re also very courteous and personable, which is a huge plus for me. As somebody who does most of my work on a desktop computer, I appreciate it when companies like SocialCaptain make their services more conveniently accessible for my set-up. That’s why I’m grateful for their desktop app. It launches quickly, so I can check my progress and tweak settings without wasting much time. Additionally, its app has support across a variety of operating systems. Not only is it available for Windows and MacOS, but there’s also a version of the app for Linux as well. It’s a platform that too many other services neglect, despite its loyal user base. This demonstrates to me that the people behind SocialCaptain truly care and are willing to put in extra effort. 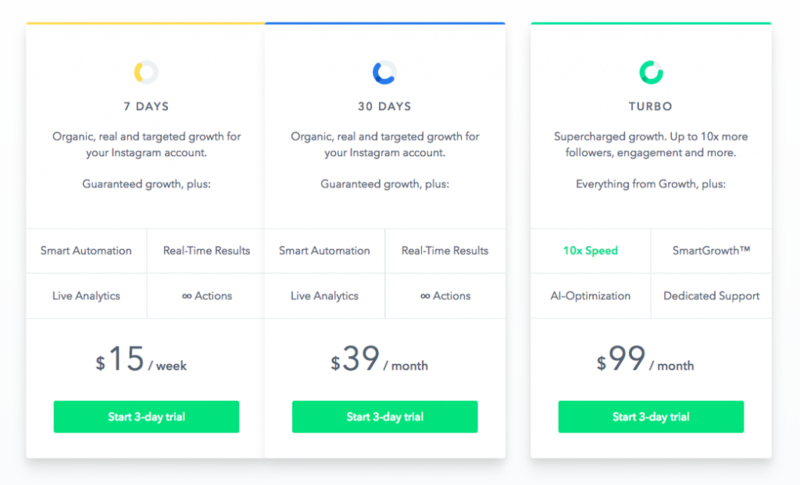 SocialCaptain offers three pricing plans on its site. The first type of plan runs at $39/mo, or $15/week if you’re not ready to commit to it for a full month. Then there’s the Turbo plan, which is $99/mo. The main difference between the plans, aside from some features, is that the Turbo plan guarantees 10x faster growth than the other two. I have to say that I was overall impressed with SocialCaptain. At first I was doubtful that it’d make a big difference in my follower count. Sure enough, it does exactly what it promises to do. I was easily outpacing my previous rate, and it was genuine growth without any phony accounts. Whether you’re running a business or an independent influencer, SocialCaptain is an excellent addition to your Instagram arsenal. It’s so easy and trouble-free that it makes it feel like your Instagram account is running itself. 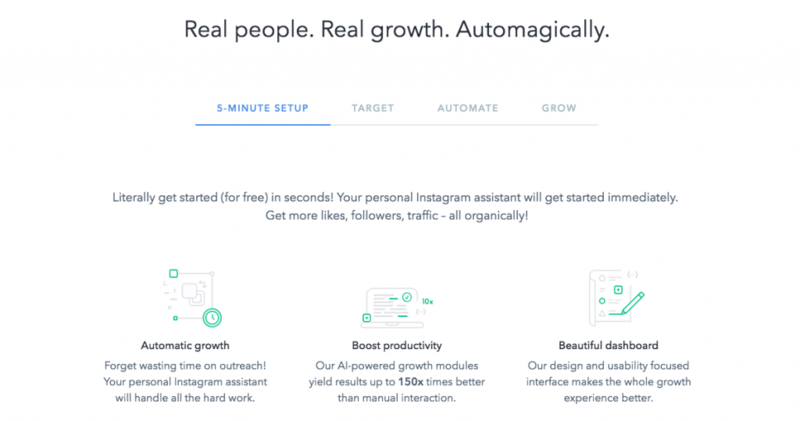 SocialCaptain makes growing your Instagram following an effortless endeavor. It features a winning combination of AI-powered automation, live analytics, top-quality support, and so much more. Don’t hesitate in trying it for yourself.